Light cruisers are maneuverable support ships featuring good concealment. They carry rapid-firing 152 mm main battery guns that are capable of delivering decent damage per minute and are the main assistants and supporters of the team. Starting from Tier VIII, these ships can make simultaneous use of Surveillance Radar, Hydroacoustic Search, and Defensive AA Fire. However, they require a high level of concentration from the player due to their moderate HP pool and overall weak armor protection. Besides, you will have to get used to the unusual ballistic trajectory of the shells in order to deliver fire in an efficient manner by skillfully using terrain as cover. To find out more about the newly arrived ships, read our article dedicated to light cruisers. 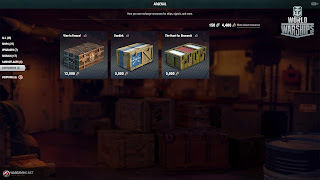 The main new feature of Update 0.7.6 is the Arsenal. 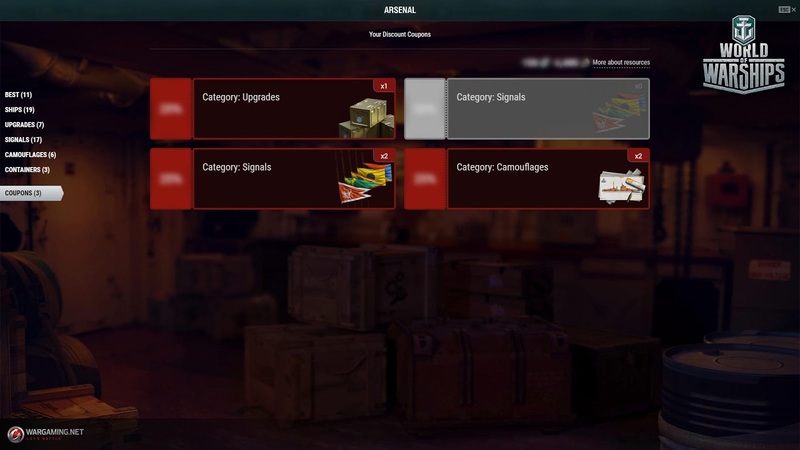 The Arsenal is a place where players can exchange Coal and Steel for signal flags, camouflage patterns, ships, containers, and special upgrades. 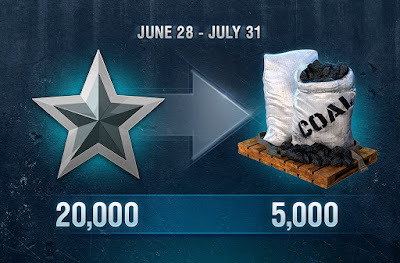 Coal and Steel are new in-game resources that you can earn by completing various combat missions, achieving high ranks, and demonstrating good performance in Clan Battles. The Arsenal is found in the upper left corner of the Port, above the list of available combat missions and challenges. A player has access to the Arsenal starting from Level 8 in the Service Record. Upon the release of the update, players will be given a generous bonus of Steel for some of their combat merits; they will also receive Coal to the amount of 5 times their accumulated Oil (5 Coal for each 1 Oil barrel). Please pay your attention to the fact that a player can accumulate Oil only when they are a member of a Clan. Only a player’s personal Oil that was earned during the time the player belonged to any of their Clans is counted! The Clan’s Oil is not counted in this case. Make sure you check out the special "Coupons" section to activate and apply a discount for various items. Earn 20 000 base XP over any amount of battles and get 5000 coal. 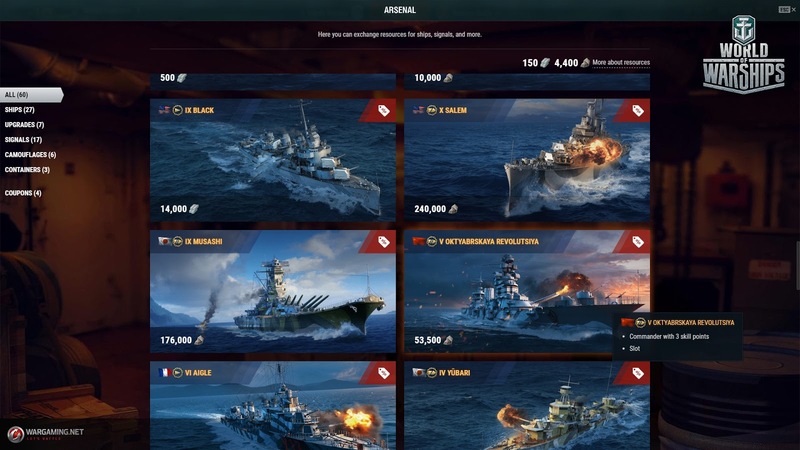 As promised, the 'American' series of updates will add new challenges and leave a lasting impression, even for the most experienced commanders! In Update 0.7.6, a new operation titled ‘Cherry Blossom’ will complement the list of available scenarios. This Operation is inspired by the Battle of Empress Augusta Bay that occurred on November 2, 1943, in which a Japanese squadron under the command of Admiral Omori clashed with an operational task force headed by Admiral Merril. Under the cover of darkness, the Japanese forces undertake an attempt to counterattack the American assault troopers who landed the day before. The players' primary task is to defend the troopers and exploit the success by attacking the enemy base. The operation begins at night and continues into the early hours of the morning. Finally, the combat action comes to an end by daylight. The players will be offered new game mechanics—a night battle—during which illumination bombs are used to light up the battlefield. 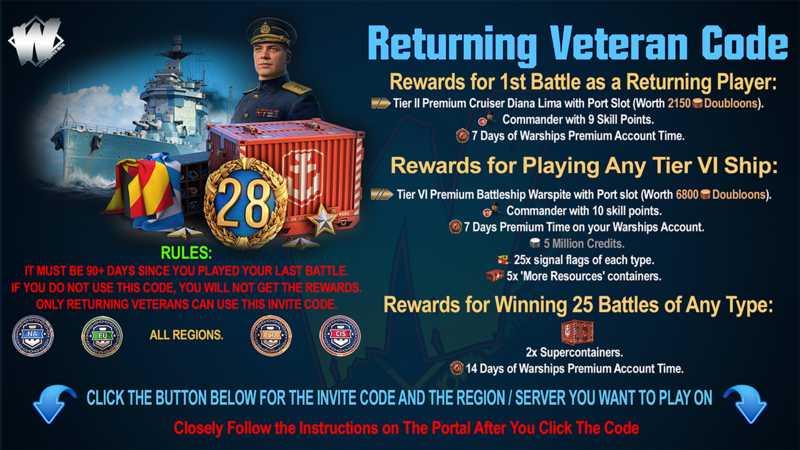 You can take part in this operation by playing with American, British, French, and Soviet Tier VIII cruisers. 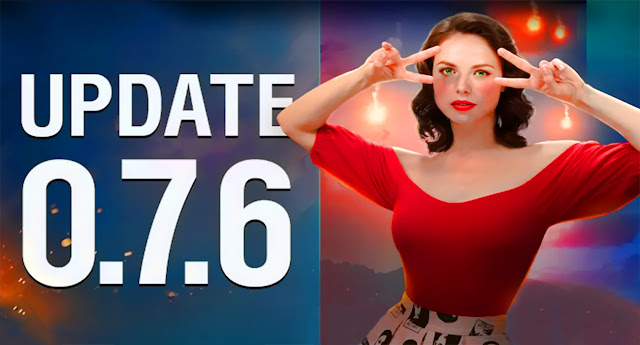 ‘Cherry Blossom’ will become a default operation for the two weeks following the release of Update 0.7.6, and then it will be included in the standard rotation and will be available for completion as an ‘Operation of the Week’. For more details about the new Operation, please read this dedicated Article. 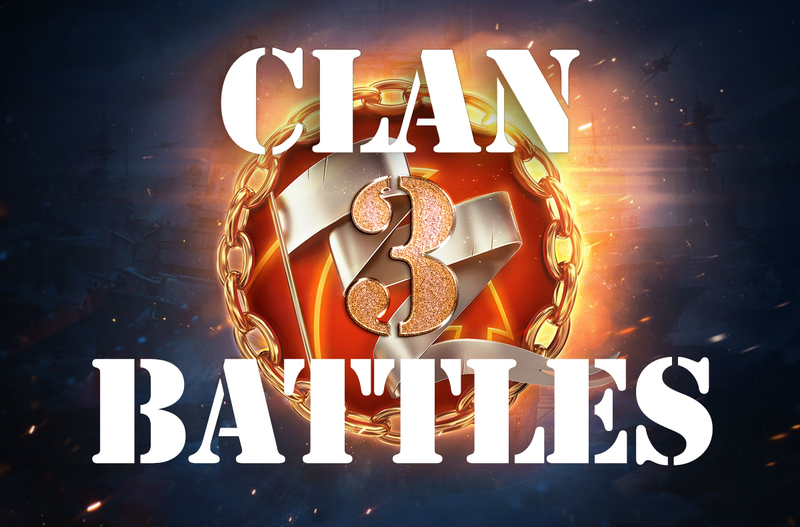 Season 3 of Clan Battles is coming. 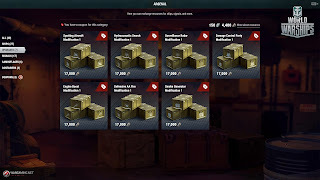 Fight, win, and earn Steel to spend in the Arsenal! The season starts on June 30 and ends on August 19. 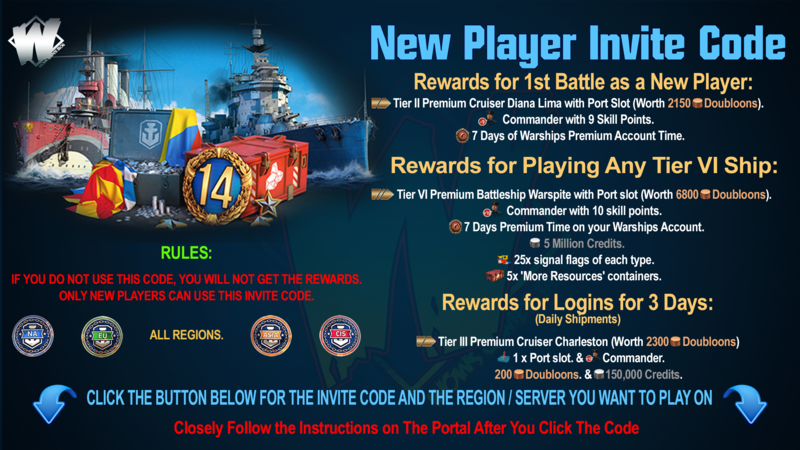 From June 30 through July 6, those who have played at least one Clan Battle will be able to redistribute their commander skill points free of charge. 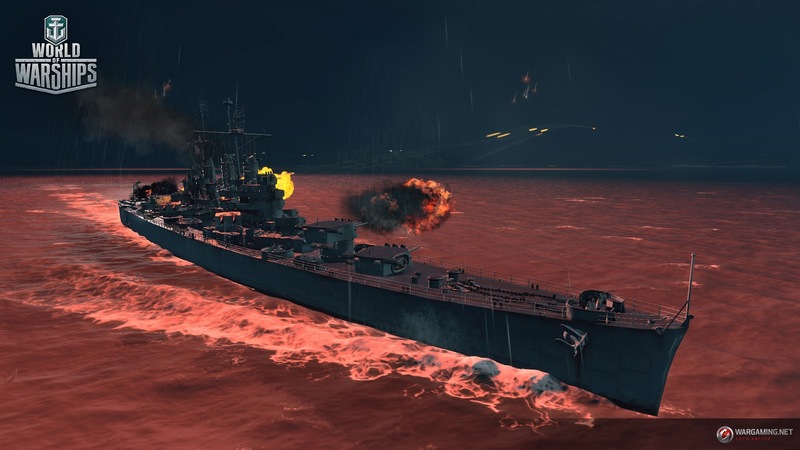 Battles are played in the 7vs7 format; no more than one battleship per team; no carriers. There are five Leagues for you to climb through to get on top: Squall League, Gale League, Storm League, Typhoon League, and Hurricane League. Rewards may differ slightly from those in previous seasons and some will be replaced by a new resource—Steel! The following six maps will serve as battlegrounds for the ‘Sleeping Giant’ season: Hotspot, Sea of Fortune, Warrior's Path, Mountain Range, Tears of the Desert and, of course, Sleeping Giant. Clan Battles will be available on the following days only: Wednesday, Thursday, Saturday, Sunday. The Rating of all Clans will be reset to standard values. Your Clan will receive 50 bonus points for the first battles played in each of the Leagues in the previous season, 'Islands of Ice', (except the starting—Squall—league), up to a maximum of 200 points. Starting from Update 0.7.6, the highest value of the two ratings—codenamed Alpha and Bravo—will be considered the Clan's Leading Rating. In Clan Battles, players will get the opportunity to select a Rating in which they want to fight after the Clan has constructed a Squadron Staff building at the Clan's base. 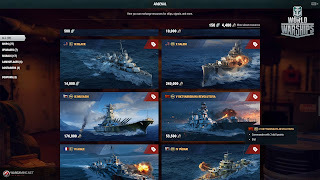 As a result, Clan players will be able to choose a Rating to match their style of play—serious battles to occupy the top positions, relaxed battles to play with friends or to test new tactics and combinations of ships. When at the Clan's base, you can find the both Ratings by hovering over the emblem of the League to which your Clan currently belongs. If you’ve always been curious about the Rating of Clans from other realms, Update 0.7.6 will satisfy your curiosity. In the 'Clans' section, under 'Clan Rating', you will find the statistics containing the Ratings of Clans from all over the world. With the introduction of the Arsenal, all players will receive 6,000 Steel for each 'Stalingrad' flag they have earned. 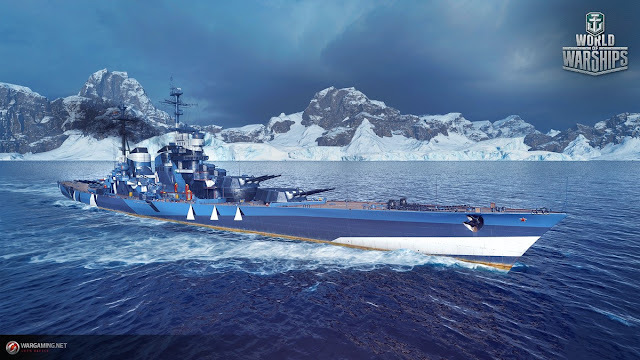 Those players who have gained 30 victories in the Typhoon League will receive an additional 10,000 Steel to help them accumulate enough resources to exchange for Tier X cruiser Stalingrad, which will appear in the Arsenal in Update 0.7.8. 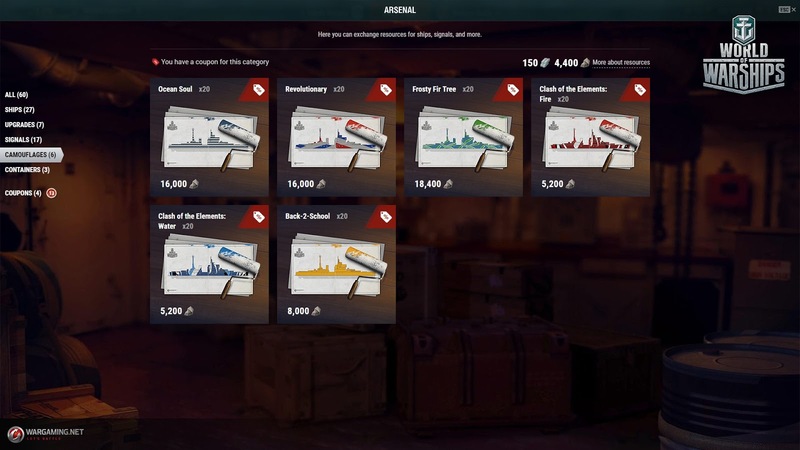 Please note: in honor of the Arsenal release in Update 0.7.6, you will be given a coupon that entitles you to a 25% discount for the 'Ships' category. 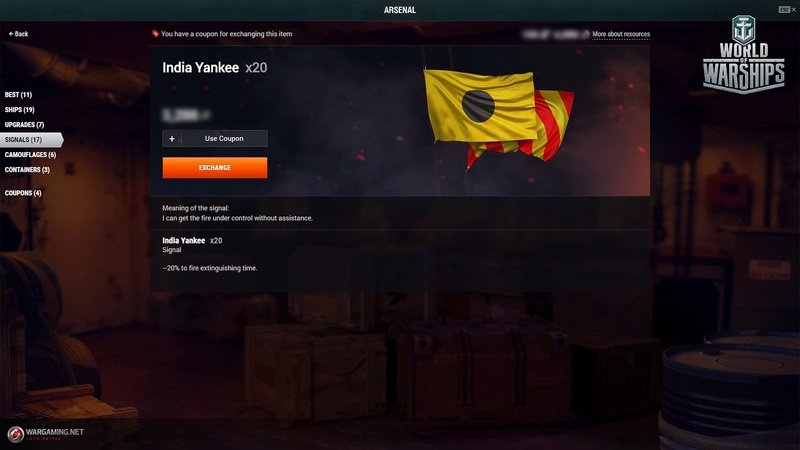 It will come in handy if you participated in three seasons of Clan Battles with the purpose of earning cruiser Stalingrad. Do not spend your coupon and Steel on other ships, otherwise you'll have to get more Steel to exchange it for the cruiser without a discount. Wait until Stalingrad rolls into the Arsenal and be the first one to get the ship with a discount. You deserve it! 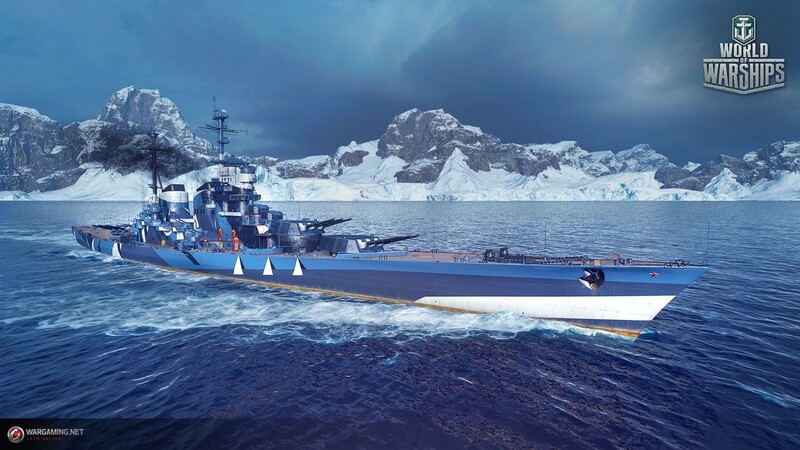 When the season starts, any player who plays a Random or Clan Battle with a Tier VIII–X ship, will be given a set of three special Tier X ships for temporary use: X Shimakaze, X Hindenburg, X Conqueror. The ships are given for temporary use and will be written off accounts with the release of Update 0.7.7. 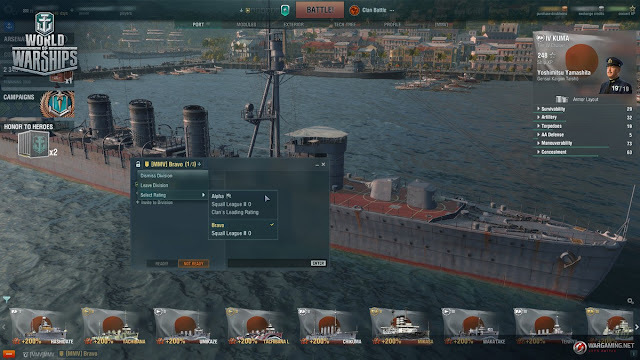 A special timer near the ship image in the Port will warn you about the expiration of the rental period. 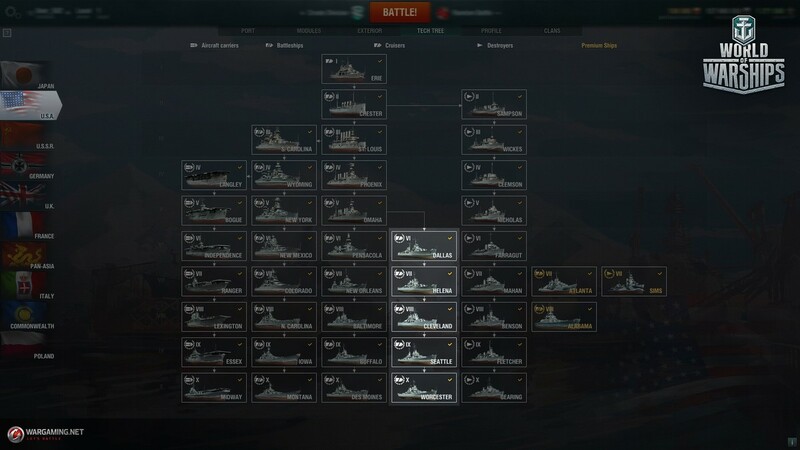 You won't be able to mount any type of camouflage on these ships. 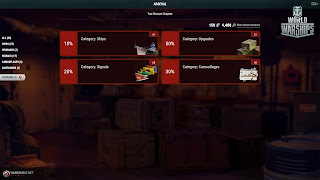 Rented ships will bring you the rewards calculated in the same manner as for researchable ships. 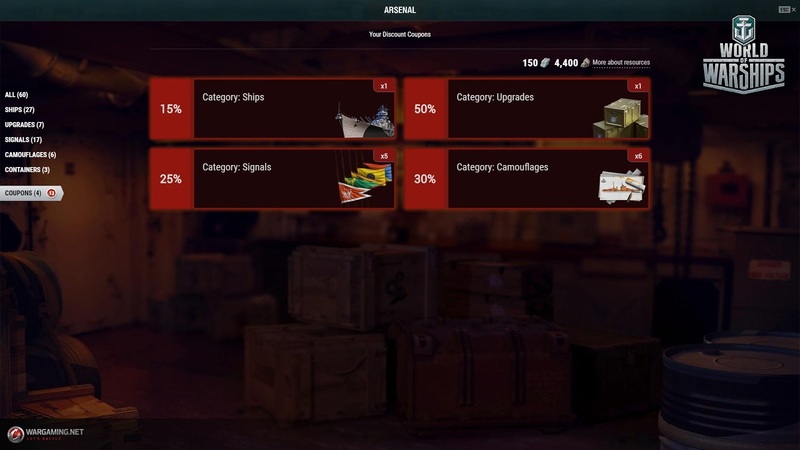 When these ships are removed, their Commanders will be automatically sent to the Reserve, and the upgrades, consumables, and signals will be moved to the Inventory. If the ships have alternative modules like Shimakaze's torpedoes, you can mount them at no cost. If the Commander was recruited specially for a rented ship, their specialization will remain the same after removing the ship from the account. 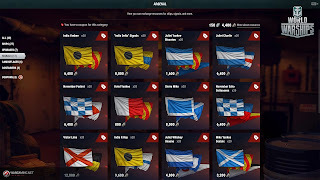 If the Commander was recruited for a rented ship and then re-assigned to another ship, their specialization will remain the same after removing the ship from the account. In two weeks after the release of Update 0.7.8, if you earn three ‘Stalingrad’ flags and have already redeemed your coupon for cruiser Stalingrad, you will be given another coupon providing a 25% discount for the ‘Ship’ category.